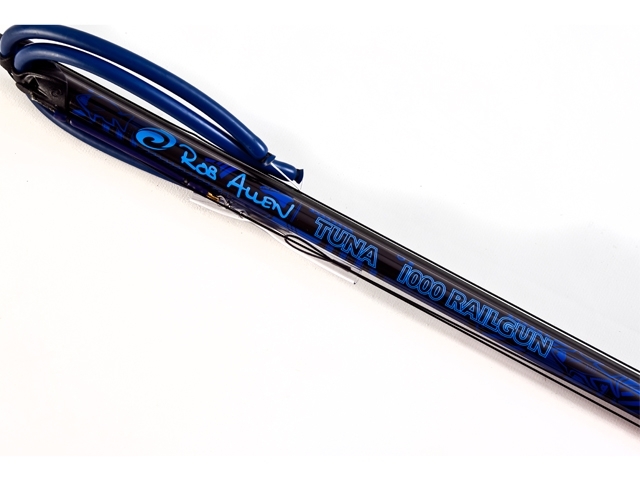 Rob Allen Tuna Rail Gun with OPEN MUZZLE. • The rail barrel is manufactured from aircraft grade aluminium with a wall thickness of 1.45mm and the mechanism is manufactured from glass reinforced nylon and has a solid 316 stainless steel sear. 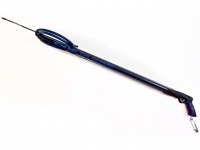 • The Tuna Rail Gun is fitted with a 7.5mm spear and twin 16mm bands. • Rob Allen aluminium railbarrels have the same dimension as the carbon barrels. • The rail level lines up with the profile of the mechanism and the muzzle. • The integral rail is part of the barrel, thus increasing stiffness and reducing flex. • This makes the guns deadly accurate.